Han er mestvinnende hannhund i norsk collieklubb i 2014, 2015, 2016 og 2017! Han er HD: A ED: 0, og øyelyst uten anmerkninger som valp og voksen. Odin, or N DK CH NJRW-14 NW-16 Callip's All Inclusive, which is his real name, was born 22.05.2013 here with me. He allso has everything needed for the C.I.B. title. 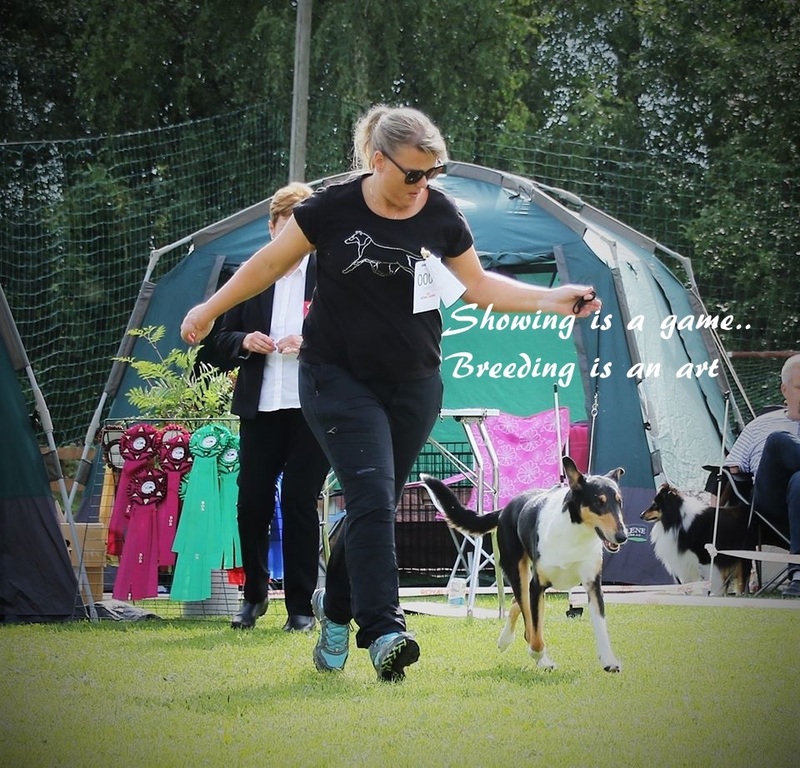 He is the most winning smooth dog 2014, 2015, 2016 and 2017 here in Norway, at clubshows. Odin is hipscored with A and elbows 0. He is eyechecked free as a puppy and adult.